Shenandoah was founded in 1950 by a group of Washington and Lee University faculty members and undergraduates, Tom Wolfe among them. For a brief time it was primarily an undergraduate magazine, but under the leadership of student editor Tom Carter, Shenandoah became a quarterly, publishing a cast of international writers including e e cummings, Dylan Thomas, W. H. Auden, James Merrill, Ezra Pound, William Faulkner, and Flannery O’Connor. From the 1960s to the 1980s, Washington and Lee faculty member James Boatwright expanded the journal and published occasional theme issues, including a thirty-fifth anniversary anthology. After Boatwright’s death in 1988, Dabney Stuart took over as editor. In 1995, R. T. Smith was selected as the magazine’s first full-time editor. 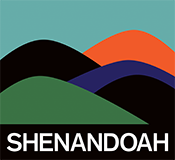 In 2011, Shenandoah moved online, and is now a web magazine that publishes semiannually. In August 2018, after the retirement of R. T. Smith, Beth Staples took over as editor. Shenandoah is now part of W&L’s English Department and, under Beth’s direction, is supported by a class of undergraduate interns studying editing and publishing. Former editors include Tom Wolfe, Tom Carter, James Boatwright, Dabney Stuart, and R. T. Smith. Former student workers include Mark Richard, Christian Wiman, Matthew Neill Null, and Rebecca Makkai. The editors believe that reading through the perspective of another person, persona, or character is one of the ways we practice empathy, expand our understanding of the world, and experience new levels of awareness. Shenandoah aims to to showcase a wide variety of voices and perspectives in terms of gender identity, race, ethnicity, class, age, ability, nationality, regionality, sexuality, and educational background. We’re excited to consider short stories, essays, excerpts of novels in progress, poems, comics, and translations of all the above. For more information, see our submission guidelines.